Please be advised that Commemorative Brick and Bench orders are temporarily suspended due to Norman Hall renovations. 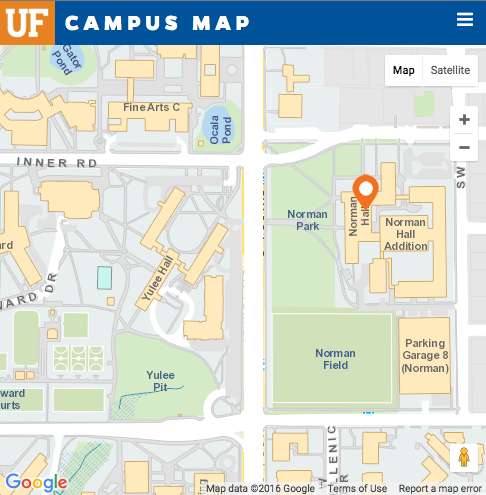 Engraved bricks are placed in the Norman Hall plaza entrance which faces the UF main campus and serves as a converging point for four frequented paths. To order your engraved brick, fill out this form. Benches are located throughout the college. For a $1,500 donation, your message is inscribed on a golden plate affixed to the seat back. Don’t Miss Out – Brick Pavers and Benches are Limited! Place your order today!